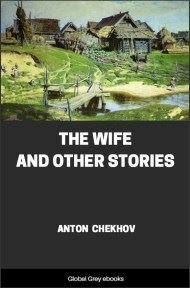 Volume 5 of the Tales of Chekhov, this is a collection of 9 short stories; The Wife; Difficult People; The Grasshopper; A Dreary Story; The Privy Councillor; The Man in a Case; Gooseberries; About Love; and, The Lottery Ticket. 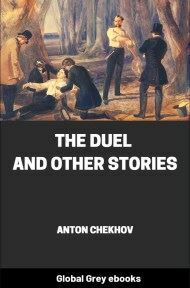 “Not far from you — that is to say, in the village of Pestrovo — very distressing incidents are taking place, concerning which I feel it my duty to write to you. 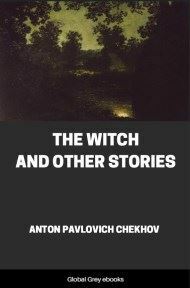 All the peasants of that village sold their cottages and all their belongings, and set off for the province of Tomsk, but did not succeed in getting there, and have come back. Here, of course, they have nothing now; everything belongs to other people. They have settled three or four families in a hut, so that there are no less than fifteen persons of both sexes in each hut, not counting the young children; and the long and the short of it is, there is nothing to eat. There is famine and there is a terrible pestilence of hunger, or spotted, typhus; literally every one is stricken. The doctor’s assistant says one goes into a cottage and what does one see? Every one is sick, every one delirious, some laughing, others frantic; the huts are filthy; there is no one to fetch them water, no one to give them a drink, and nothing to eat but frozen potatoes. 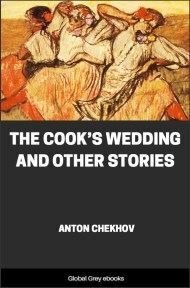 What can Sobol (our Zemstvo doctor) and his lady assistant do when more than medicine the peasants need bread which they have not? The District Zemstvo refuses to assist them, on the ground that their names have been taken off the register of this district, and that they are now reckoned as inhabitants of Tomsk; and, besides, the Zemstvo has no money. Obviously the letter was written by the doctor with the animal name or his lady assistant. Zemstvo doctors and their assistants go on for years growing more and more convinced every day that they can do nothing, and yet continue to receive their salaries from people who are living upon frozen potatoes, and consider they have a right to judge whether I am humane or not. Worried by the anonymous letter and by the fact that peasants came every morning to the servants’ kitchen and went down on their knees there, and that twenty sacks of rye had been stolen at night out of the barn, the wall having first been broken in, and by the general depression which was fostered by conversations, newspapers, and horrible weather — worried by all this, I worked listlessly and ineffectively. I was writing “A History of Railways”; I had to read a great number of Russian and foreign books, pamphlets, and articles in the magazines, to make calculations, to refer to logarithms, to think and to write; then again to read, calculate, and think; but as soon as I took up a book or began to think, my thoughts were in a muddle, my eyes began blinking, I would get up from the table with a sigh and begin walking about the big rooms of my deserted country-house. When I was tired of walking about I would stand still at my study window, and, looking across the wide courtyard, over the pond and the bare young birch-trees and the great fields covered with recently fallen, thawing snow, I saw on a low hill on the horizon a group of mud-coloured huts from which a black muddy road ran down in an irregular streak through the white field. 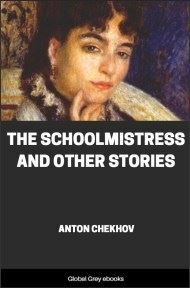 That was Pestrovo, concerning which my anonymous correspondent had written to me. 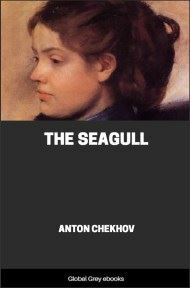 If it had not been for the crows who, foreseeing rain or snowy weather, floated cawing over the pond and the fields, and the tapping in the carpenter’s shed, this bit of the world about which such a fuss was being made would have seemed like the Dead Sea; it was all so still, motionless, lifeless, and dreary!